Nashville, TN, September 27, 1989, movie prop? This is currently a 14-page chronology of UFO incidents and events for 1989. Our thanks for these chronologies must go to Richard Hall (the original 1989 chronology from UFOE II), Dan Wilson (archive researcher), and Jean Waskiewicz (online NICAP DBase [NSID]. You will note the many foreign reports that we are now being able to access. Our special thanks to Dan Wilson for getting those to us. As more come in, this page will be updated. Previous chronologies (1947 to 1969) involved the expertise of two other team members; Rebecca Wise (Project Blue Book Archive) and Brad Sparks (Comprehensive Catalog of Project Blue Book Unknowns). Bob Gribble's entries are those filed with the National UFO Reporting Center in Seattle, Washington, now operated by Peter Davenport. Trace cases are now being entered with the help of Ted Phillips, Center for Physical Trace Research and retrofitted into previous chronologies as time permits. Since I was Indiana State Director (MUFON) at that time, many of our Indiana cases are listed here. Of possible interest, the MADAR Project (which I headed for 20 years) had 5 anomalistic EM readings which are listed chronologically here. Two large triangular shaped objects that were accompanied by 4-5 smaller bright objects were seen by dozens over Valliant, Oklahoma for more than an hour. The large objects had red, white, and blue lights. They hovered and moved slowly at tree-top level. The smaller lights maneuvered between them. 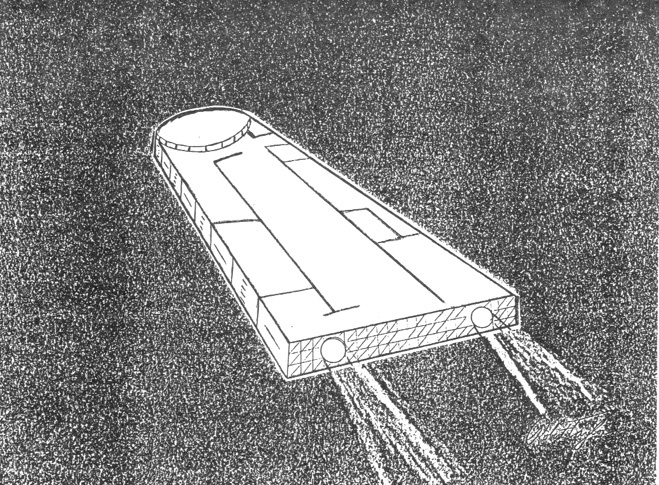 (Source: Richard F. Haines, Project Delta: A Study of Multiple UFO, p. 109; McCurtain (Oklahoma) Daily, February 1, 1989). 8:00 PM. A multi-colored triangular shaped object flew over the town of Butler, Pennsylvania making a roaring sound. (Source: Stan Gordon, MUFON field investigation file 900310). On this night a woman in Perm, Russia saw a bright disc-shaped object hovering over the area. The craft brightened suddenly and the witness became disoriented. She could only remember that her own dog attacked her. Later, under hypnosis, she recalled confronting two very tall figures within a light. The beings touched her on the back with a very cold metallic triangular device, which had the effect of blocking her memory of the experience. (Sources: Jacques Vallee, UFO Chronicles of the Soviet Union; Albert S. Rosales, Humanoid Contact Database 1989, case # 578, citing Jacques Vallee). 10:30 PM. Several witnesses were driving together along an isolated section of Route 4 in Sassovivo, Italy when they started to see intermittent circular flashes of light ahead of them. As they got closer they saw five circular objects on the ground alongside the road. The vehicle's engine stalled as five humanoids, about 90 cm tall, emerged from the crafts and surrounded the vehicle. The humanoids wore white, astronaut like suits, and had black hair and large staring eyes. They moved rapidly around the vehicle, completely ignoring the witnesses. For some time their vehicle was prevented from moving. After awhile the humanoids went back into their circular objects and then these craft disappeared from sight. The source indicated that the driver died soon after the encounter, but provided no information as to the cause of death. (Source: Albert S. Rosales, Humanoid Contact Database 1989, citing CUN). Part of a local concentration of sightings in February. A lighted triangular-shaped object with rounded corners flew around in the sky and was watched for more than an hour by four witnesses, including police. It flew over the police cruiser at an estimated distance of 1,500 meters at a steady speed, and made no sound. There were other sightings in surrounding communities, including De Kalb City, Dawson, Dog Town, and Lick Skillet. (Source: Rheta Grimsley Johnson, Commercial Appeal, March 15, 1989). 11:15 PM. A woman at home on a foggy evening in San Antonio, Texas was attracted by a humming sound she heard outside. She then saw a hovering orange, oval-shaped disc that emitted a strong blue beam of light. The beam of light extinguished the closest street light. The next odd thing that happened is that a firetruck appeared driving down her street. (Sources: Robert E. Morgan, MUFON field investigation case files, case #890402; MUFON UFO Journal, February 1990, p. 15). 7:30 AM. In Benayeo, Victoria, Australia near Edenhope, a large oblong UFO with a dome at the rear end hung in the sky, and then vanished in place. (Source: Timothy Good, The UFO Report 1991, p. 218). 9:35 PM. A 60-year-old man in Shrub Oak, Westchester County, New York reported that a huge metallic boomerang-shaped UFO with many lights in front came overhead, just fifty feet above the ground. Later he could not account for about 20 minutes. (Source: Paul Ferrughelli, Computer Catalog of UFO Reports, case 246, citing Robert Gribble, UFO Reporting Center). Evening. A 10-year-old girl saw two short white glowing figures, whom she called angels, near a large glowing UFO. An adult witness saw the UFO shot straight up into the sky when it departed. (Source: Albert S. Rosales, Humanoid Contact Database 1989, case 925, citing Stan Gordon, PASU Data Exchange, August 1989). Barking alerted witness to disc, which put light on witness. Witness aimed rifle at hovering disc, brilliant white light on underside, humming sound. Light beam engulfed him, rifle misfired, object sped away (UFOE Vol. II, Section IX). 10:45 PM. Sveral witnesses, including 53-year-old A. D. Golovatskaya, watched a fiery green elongated craft fly low over the rooftops of Kharovsk, Russia. It had a blunt nose and a fish-shaped tail. The craft was silent and appeared to be made of crystal. Four figures wearing silvery, tight-fitting uniforms were seen inside the object, two in the rear and two at the front apparently operating some controls. (Source: Albert S. Rosales, Humanoid Contact Database 1989, case # 668, citing V.D. Musinskiy, FSR, Volume 35, No. 3). Evening. A family of nine was spending a night at an abandoned cemetery near Moscow, Russia by the river's shore, when a strong light suddenly woke them in the middle of the night. They watched as a large sphere landed on the riverbank. Two figures then appeared in front of the sphere. The lower part of their bodies were black and the upper parts were yellow in color. The sphere and the humanoids suddenly vanished in plain sight. (Source: Albert S. Rosales, Humanoid Contact Database 1989, case # 717, citing Richard F Haines, Joint USA-CIS Aerial Anomaly Federation Report). Midnight +. A 38-year-old male and a 16 year-old female driving in Farmington, Michigan were pursued by a silvery disc with a greenish tinge. Electromagnetic interference effects were reported. 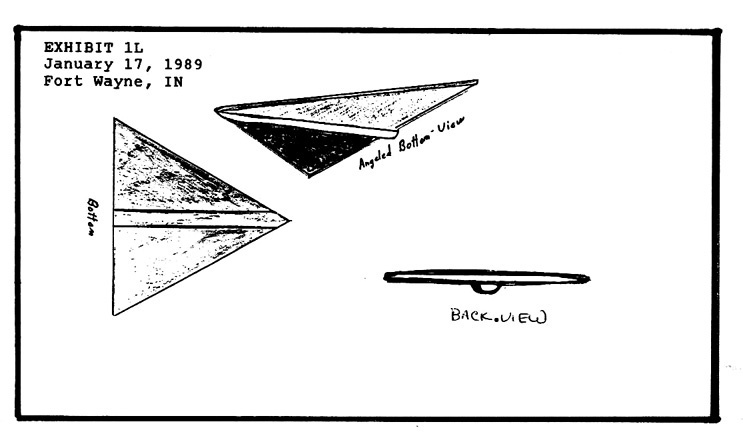 (Source: Paul Ferrughelli, Computer Catalog of UFO Reports, 1988-1994, citing Robert Gribble, National UFO Reporting Center, Seattle). A huge disc-shaped UFO was seen in Hubei Province, China. It illuminated the surrounding landscape a red color, and hung silently low in the sky for 20 minutes. It then rose to an estimated 100 meters and shot off. (Source: Timothy Good, The UFO Report 1991, p. 128). 11:00 PM. A car experienced brief electrical system failure, then recovered when a very strange looking UFO was sighted. The object was mushroom shaped on one side, but looked crablike on the other side. (Source: Richard F. Haines, JUSA-CISAAF Translations, p. 213). On May 30th, at 10:39 PM, the MADAR Project at Mt. Vernon, IN logged another MADAR anomaly. This was a one pulse deviation of the magnet variometer. No other data and no visual sightings reported. A half hour later, at 11:14 PM. No. 21 occurred. Three pulse magnitude, 3-second duration. No visual data. 7:45 PM. A security guard and an air traffic controller at Air Force Facility 42 in Palmdale, California witnessed a silver flying object and three orb-shaped UFOs during testing of the B1-B bomber. There was also a rumor of an abduction occurring on this date at the same facility. 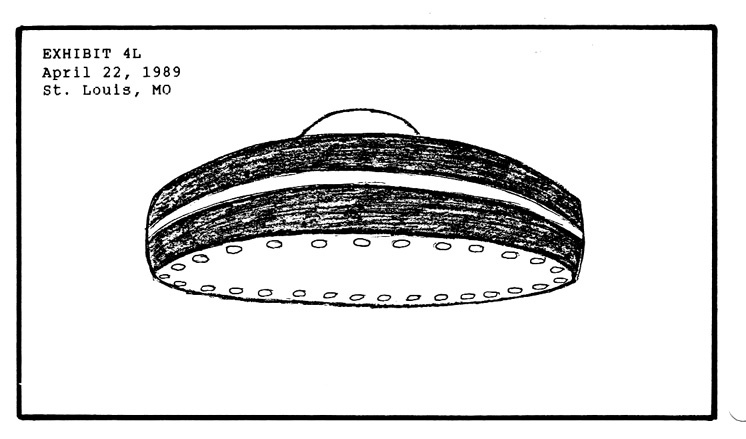 (Source: MUFON UFO Journal, November 1990). Several school children near the river in Konantsevo, Vologda, Russia watched a bright sphere descend and land. It rolled a short distance and then split in half. A headless humanoid in a dark uniform, with long arms emerged. Three more objects repeated the descent and landing. The children experience an episode of missing time. (Sources: Richard Haines, Project Delta: A Study of Multiple UFO, p. 127; Jacques Vallee, UFO Chronicles of the Soviet Union: A Cosmic Samizdat, p. 11; Michael Hall, UFOs: A Century of Sightings, p. 330). 7:00 AM. A Canadian Airlines International crew watched a dark grey or black ovoid object, estimated to be about 2 meters in length, make complex maneuvers in the sky not far from St. John's, Newfoundland for three minutes. (Source: Chris Rutkowski, International UFO Reporter, July 1990, p. 10). 11:30 PM. While driving on the Express Connector roadway, a 36-year-old female observed two, large bright white lights moving in her direction. She stopped her car for a better look, and as the lights got closer she could tell that they were attached to a rectangular-shaped object, "massive in size." The woman got out of the car in time to see the craft stop directly overhead and remain in that spot for about two minutes. During that period she could see what appeared to be numerous pipes laying flat against the underside of the vehicle which was illuminated by several lights. (NUFORC) The The witness experience an episode of missing time. 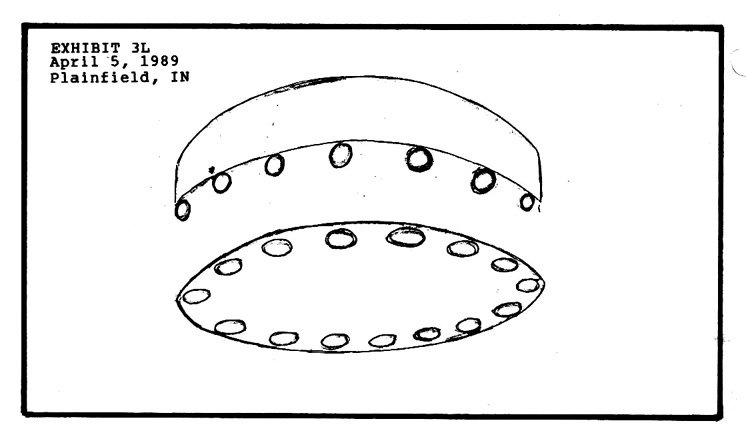 (Source: Paul Ferrughilli, Computer Catalogue of UFO Reports, 1988-1994, case #265). Night. Two brothers were engaged in opal mining in an isolated area of Queensland, Australia on this night, with the nearest community being Yowah. They sighted a large disc-shaped craft accompanied by six smaller objects hovering over the area. A twenty-minute time lapse was reported. Hynoptic regression at a later date revealed an abduction scenario that involved small Grey type entities and tall human-looking beings with long blond hair. There seemed to the brothers that a struggle ensued between the two different groups of beings. (Source: Albert S. Rosales, Humanoid Contact Database 1989, case #1821, citing Keith Basterfield). Several abduction cases. (Vallee, 1992). Video recorder film taken of a white, Saturn-shaped object with squarish ring that changed direction, rose at a steep angle at high speed (UFOE Vol. II, Section VII). Night. At least six witnesses in Southend, Essex, England reported that a cone-shaped UFO paced a car. Lights on object turned counter-clockwise. The object shot off when the car stopped. (Source: Timothy Good, The UFO Report 1991, p. 228). 11:20 PM. A domed disc-shaped object was seen over a high security rocket weapons depot in Kapustin Yar, Astrakhan, Russia, by four military witnesses, including the two main witnesses named Voloshin and Tishchayev. The UFO glowed a phosphorescent green. It circled the depot three times, accelerated and then stopped abruptly. It shot away when a Soviet fighter jet appeared. (Sources: Paul Stonehill, The Soviet UFO Files, p. 79; Don Berliner, Marie Galbraith, & Antonio Huneeus, (editors), Unidentified Flying Objects Briefing Document: The Best Available Evidence, p. 103; Dennis Stacy, Field Guide to UFOs, p. 58). Luminous mushroom-shaped object hovered over field, two smaller objects with red lights emerged, operated independently, departed at high speed (UFOE Vol. 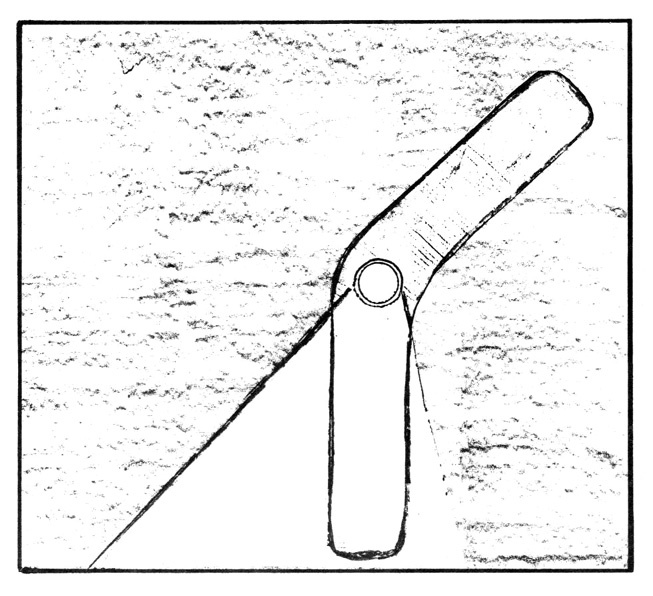 II, Section X). Night. Witnesses north of Zaostravka, Perm, Russia watched several disc-shaped objects engaged in what looked like an aerial battle or "dogfight" with another gold-colored disc. After several explosions the electrical power in Zaostravka went off. The gold-colored disc was seen crashing into a swamp. Several military personnel tried to get near the crash site, but the isolated location seemed impossible to access. The zone was declared off limits by the local military, several families living nearby were displaced, and a barbwire fence was installed in the area. Aircraft flying over the area afterwards reported equipment malfunctions and were diverted to other flight paths. The downed object was described as mushroom shaped-shaped with a greenish-gold dome and a matt black rim with a narrow base. (Source: Albert S. Rosales, Humanoid Contact Database 1989, citing F. Bachurin, N. A. Subbotin and Anton Anfalov). Night. A female employee of a local meat packing plant in Nikolayev, Russia had stepped outside for a quick break when a beam of light struck her from above. Looking up, she saw a hovering disc-shaped craft which the beam had emanated from. The object was about 40-60 meters in diameter. She reported that she felt no fear and indeed had a euphoric feeling as she began rising up nto the air towards the object. She also heard a voice extolling her to "fly with them." Other workers came to the scene and began yelling and ran towards the woman. The beam disappeared the the UFO flew away. (Source: Albert S. Rosales, Humanoid Contact Database 1989, citing Mikhail Gershtein, Immense Invasion). 10:00 PM. Ten calls were received by the Coast Guard and KTIL radio reporting small explosions and red and white flying lights in Tillamook county, Oregon. Sightings occurred in Oceanside, Oregon and for seventy miles north along the coastline. In Tillamook Bay a circle of nocturnal lights were seen moving toward the northwest. Each nocturnal object consisted of a ring of light. (Sources: field investigator Skip Schultz, MUFON investigation files database, case #891206W; UFO Newsclipping Service, October 1995). UFO sighting concentration in vicinity. Four landings and three different kinds of entities reported (UFOE Vol. II, Sections VIII, XII); geodesic engineer saw maneuvering airship-like object September 24 (UFOE Vol. II, Section IV). 9:00 PM. A boy named Torshin returning home late in the evening from school in Voronezh, Russia noticed a large round red object with a black, door-like hatch hovering close to the ground. It suddenly landed on four legs and the hatch opened. A ladder descended and a square, robot-like being emerged. The witness did not stay around. (Sources: Jacques Vallee, UFO Chronicles of the Soviet Union: A Cosmic Samizdat, p. 202; Albert S. Rosales, Humanoid Contact Database 1989, case # 535, citing Gordon Creighton, in Timothy Good (ed. ), The UFO Report 1991). 7:00 PM. A young witness saw an object with portholes on the ground. A figure more than three meters tall emerged from it. The entity had two large eyes on its head and a red light on top. On its chest it had a silvery disk with three round spots of different colors. Below that it had a rectangular box that protruded out. The being also wore large silvery boots. (Source: Albert S. Rosales, Humanoid Contact Database 1989, case # 536, citing Gordon Creighton, in Timothy Good (ed. ), The UFO Report 1991). 4:20 PM. A woman was called by her granddaughter to look at something unusual outside. She stepped out of her house near Tillamook, Oregon and was confronted by an object resembling an inverted toy top, hovering just above the ground. It was 20 to 30 feet in diameter and had a flat bottom and a bright yellow-white light shining at both ends. The woman approached to within 30 feet of the craft when a door opened revealing a blond human-like entity of average height with fair skin and blue eyes. He was wearing a silvery coverall uniform. The woman then noticed at a window next to the door a large hairy, Sasquatch type creature apparently seated and only visible from the chest up. The woman stared at the object and beings for a few minutes, and then the UFO suddenly vanished from plain sight. (Sources: Albert S. Rosales, Humanoid Contact Database 1989, case #116; MUFON UFO Journal, April 1990). 6:30 PM. Several children playing at a local park, first observed a pinkish glow approaching in the sky. As it came overhead they could see that it was a deep red, ball-shaped object. The object flew around in circles for a few minutes and then left. When it returned it hovered briefly, and then descended very close to the ground. A hatch opened and a heavy set figure emerged. The being moved very slowly and looked around, he had a very small head resembling that of a doorknob, set in between its shoulders. It had three luminous eyes, the middle one moving around like"radar." On its chest there was a shield-like object. The being then closed the hatch and the object landed gently on four legs. The hatch opened again and three huge humanoids with small knob-like heads stepped out. These wore silvery coveralls and bronze colored boots. A strange robot-like creature accompanied the giants. All four of them walked around the object several times. A beam of light came out of the chest of one of the beings and struck the ground, creating several luminous triangles that later faded away. At one point the craft and beings became briefly invisible but then reappeared. One of the boys screamed in fear. Then one of the beings looked at the boy and pointed a tube at him. A luminous beam came from the tube and hit the boy, which made him disappear. The boy later reappeared after the beings and the objects had gone. Subsequent information revealed that on of the craft's hull and on the landing prop of another craft was the letter or symbol "Zhe," reported to have been similar to the "UMMO" insignia reported in Western Europe in the 1970s. (Source: Albert S. Rosales, Humanoid Contact Database 1989, case # 534, citing Gordon Creighton, in Timothy Good (ed. 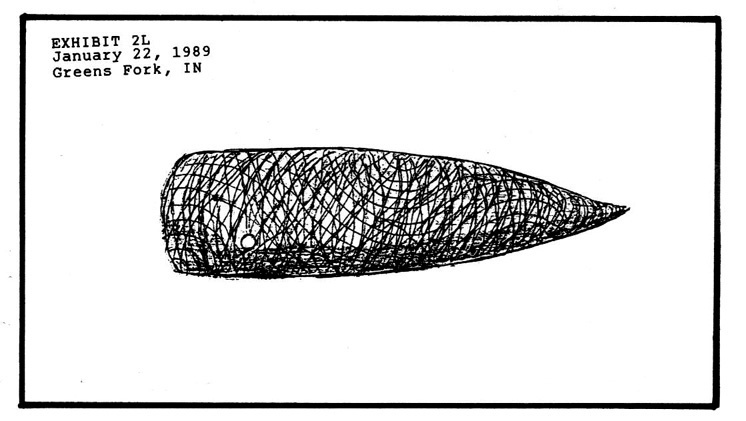 ), The UFO Report 1991). Concentration of triangular UFO sightings, jet interceptor chases, radar-visual sightings (see November 29, 1989; March 30, 1990). Sometime in the evening, possibly the 1st of November, an object near a power plant at Newburgh reportedly "scared the hell of the witnesses." The witnesses refused to file a report. (UFOFC, Ridge). Double abduction case investigated by John Carpenter (UFOE Vol. II, Section XIII). Police patrol car illuminated by brilliant light beam, hovering dark triangular object, humming noise, alternately moved and hovered (UFOE Vol. II, Section I; source link ufocasebook.com info not verifed). Linda Cortile's (pseudonym) abduction from 12th floor apartment, allegedly witnessed by international figure and security guards (Hopkins, 1996). December 15th, 6:03 PM. This event occurred with a momentary power outage, so brief that there was no loss of stored information. It was merely a flicker of lights and power, but the magnet variometer deviated from north, cycled back in 18-seconds, then deviated again in the opposite direction (2-pulse, 18-second on first pulse, no return on second), resting away from north indefinitely! The sensor housing had to be physically rotated to get it back to north! Channel 14 TV at Evansville, just 20 miles east of the MADAR HQ at Mt. Vernon, IN, lost all their computer graphics. It was thought that this was related to earthquake phenomenon, but there was no reported quake. December 17, 9:14 AM. This time there was no additional pulse (besides the "phantom" or unrecorded initial pulse) to show a swing back to and past north. This was a "no return" situation, again. This had never happened before, at least at this station in the 20-years we have been in operation. December 22nd, 10:49 PM. One pulse. Again, no return to North! 3. Ted Phillips, Center for Physical Trace Research.